Feb 6, 2015By Rumble Entertainment, Inc. Posted in: Games, iOS Apps, iTunesTagged in: Action, Game Center, games, Role Playing, Rumble Entertainment, Inc. Become the hero of KingsRoad! Embark on an epic RPG adventure as you battle your way through monstrous enemies and collect legendary loot. Pick up your sword now and save the kingdom! – “Flawless graphics and highly-addictive gameplay” – Mens XP – “KingsRoad is a must-play” – Cheat Code Central The kingdom lies in ruins, its armies defeated. Townsfolk cower in fear as evil creatures known as the Shroud invade this once peaceful land. The people desperately need a hero: Will that hero be you? 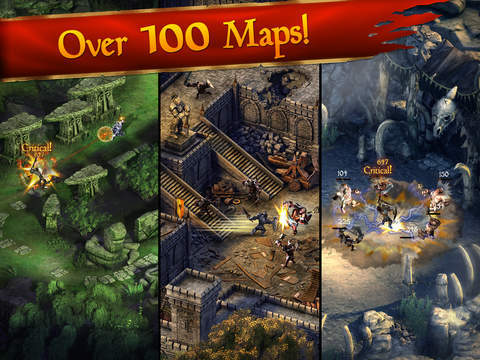 =FEATURES= – EPIC ACTION COMBAT: Annihilate your enemies as a knight, wizard, or archer. Learn new skills and defeat towering bosses! – TONS OF LOOT: Collect loot and customize your hero the way you want to play — with thousands of options! 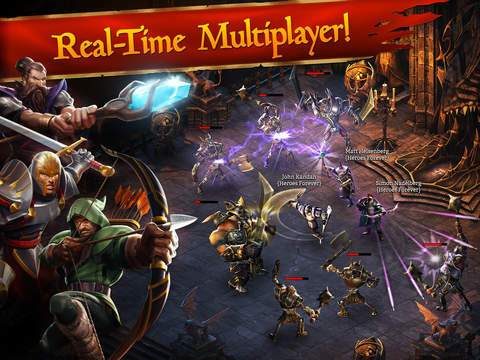 – REAL-TIME MULTIPLAYER: Team up with your friends and defeat the forces of darkness together! – ENDLESS CONTENT: Never run out of enemies to slay with hundreds of maps and difficulties available. Compete against players from around the world on new event maps added weekly! – CROSS-PLATFORM: Battle with friends in real time across PC and mobile! Seamlessly connect your game across all your devices. – This game will NOT work on iPad 1. – This game requires WiFi internet to play. 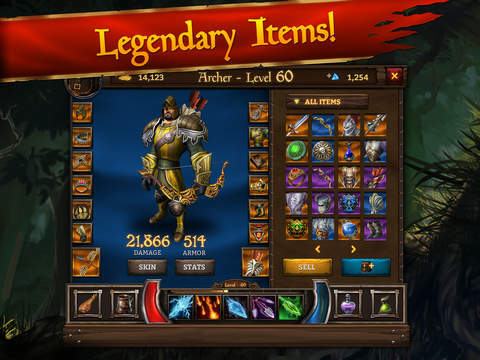 – KingsRoad is completely free to play, but some game items can also be purchased using real money in order to enhance gameplay. • View all active competitions in one place. • Coming soon: Collect rewards straight from the leaderboards! • Runs January 13-February 9. • Battle your favorite champions from tournaments past. • Defeat them all to collect the very best jewels in the game! • Numerous bug fixes and performance improvements. • Newly added friends now show up without having to refresh the app. • Fixed a bug that would result in socketed jewel XP being lost if the jewel was removed from the item before it was fully leveled. • Improved the items found in chests throughout KingsRoad. PDF Connect Suite - Your Customized PDF Office, Page Editor and Word Converter!